Kansas guard Lagerald Vick (24) tries to rally The Jayhawks during the first half, Saturday, Dec. 15, 2018 at Allen Fieldhouse. 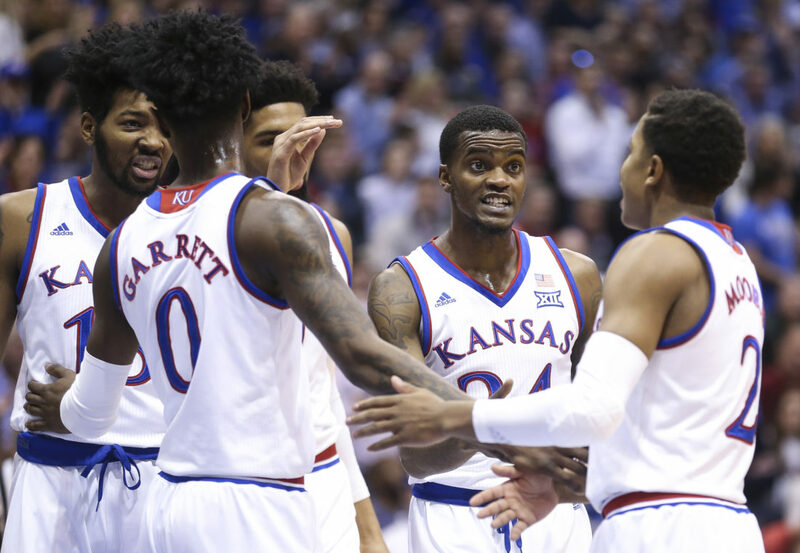 Kansas senior Lagerald Vick sure found a memorable way to put a bad week behind him. 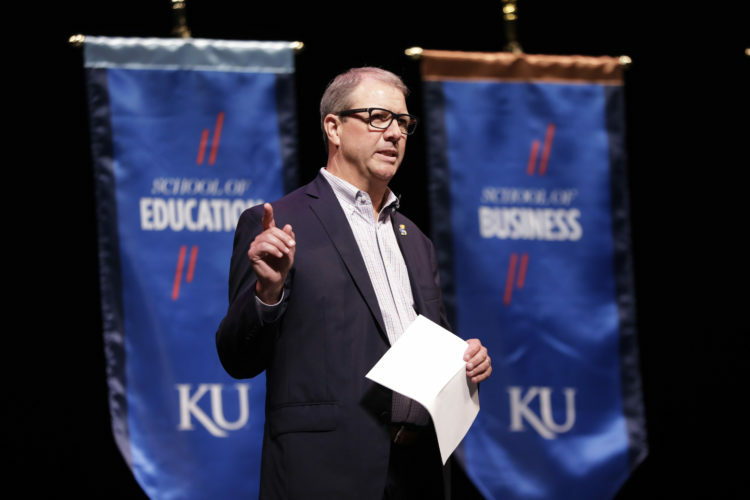 After coming off of the bench and struggling offensively during recent KU victories over Wofford and New Mexico State, Vick was back in the starting lineup and back on the red-hot railway during the top-ranked Jayhawks’ 74-71 win over No. 17 Villanova on Saturday morning at Allen Fieldhouse. Saturday’s effort was not quite like those 30-point explosions from earlier this season in that Vick spread out the 29 points and seven rebounds on 9-of-15 shooting over 39 minutes in this one instead of waiting until the end. But given the degree of difficulty of so many of his shots and the pedigree of Saturday’s opponent, going off for 29 in a game where No. 1 Kansas (9-0) needed every one of them might have had some thinking Saturday’s showing was Vick’s most impressive of the season. That’s the way Villanova senior Phil Booth saw it, too. After guarding Vick plenty during the Wildcats’ Final Four victory last March in San Antonio, Booth said Vick looked like “a completely different player,” on Saturday. Vick, who has used the same refrain after all of his monster games this season, — “Just trying to be aggressive.” — said Booth’s assessment of his game was accurate and added that he feels as much like a different player as he looks. It was hard for them not to be on Saturday. Teaming with junior Dedric Lawson, who recorded his sixth double-double of the season — 28 points and 12 rebounds — Vick delivered all of the things experienced, big time players are supposed to provide in games of this magnitude. 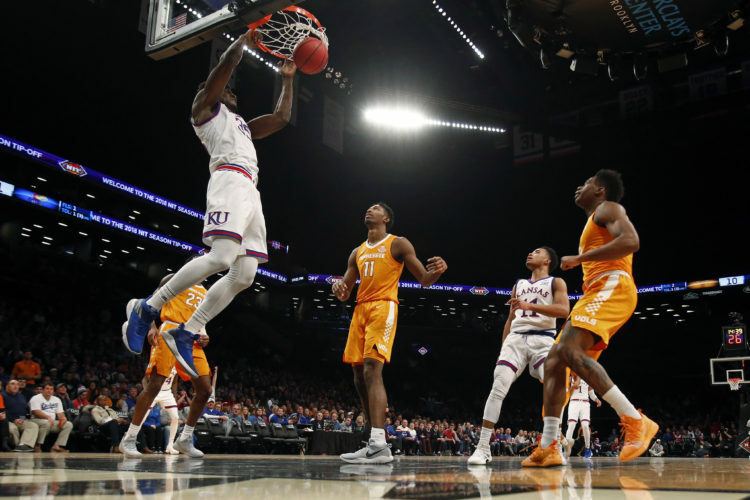 He was tough on the glass to the tune of seven rebounds, hit 80 percent from the free-throw line and played essentially the entire game while knocking in three 3-pointers. One came in transition, off of a perfect pass from Devon Dotson (11 points in 26 minutes), and the other two were the result of Vick taking matters into his own hands and refusing to let Villanova (8-4) extend its winning streak over Kansas to four games. 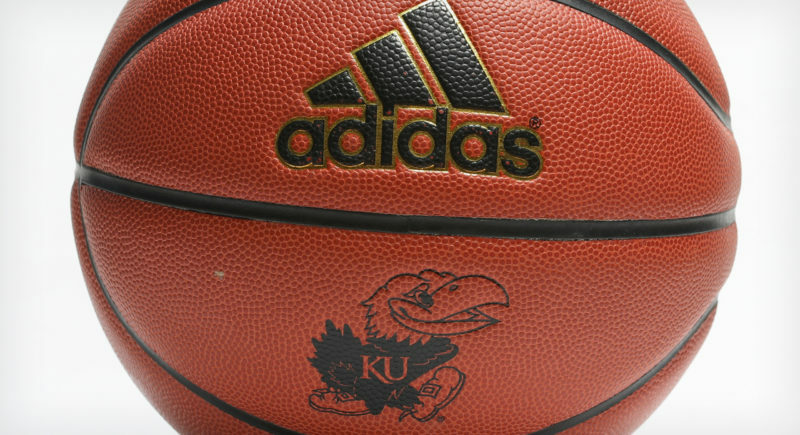 While those long-range bombs ignited the crowd and helped Kansas keep some semblance of control in a game that went back and forth more than a dozen times until the game’s final three minutes, it was a 2-pointer that put Kansas ahead 59-56 with 4:24 to play that was Vick’s favorite. The Memphis native was not the only one who remembered the shot. Lawson, who did most of his damage in the paint, said he knew Vick’s baseline jumper was good when it left his hand. And he could sense that the Villanova players did, as well. As big as it gets for a nonconference game in December, Saturday’s game came with all kinds of hype and anticipation. But a smiling Self said after the victory that even though Saturday’s 3-point squeaker ended a three-game Kansas losing streak against Villanova and pulled the teams even in the all-time series at four wins apiece, it did not do anything to change the head-to-head record that really matters. 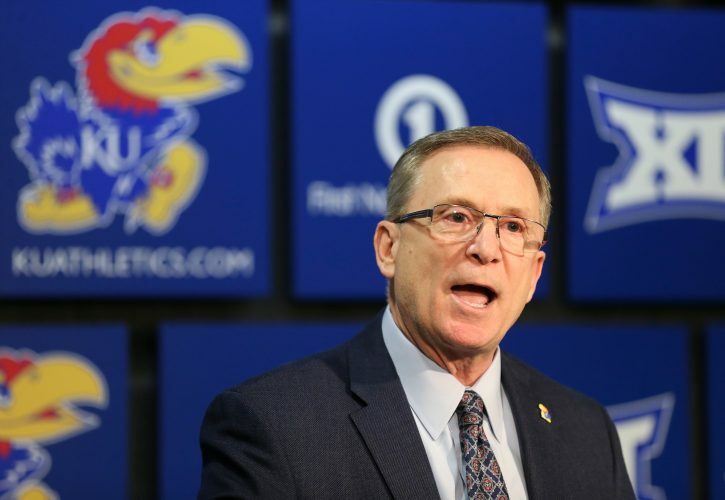 Self said the only place revenge for that Final Four loss mattered was in the stands, where the fans showed up full-throttle to help make sure the Jayhawks came out on top in this one. Even Vick admitted that, while the players do think about those things from time to time, revenge played only a tiny role in Saturday’s victory, with scouting report, attention to detail, competitiveness and wanting to win for each other carrying the day.